SINGAPORE, 22 AUGUST 2014 – Singapore Changi Airport handled some 4.58 million passenger movements in July 2014, an increase of 1.0% compared to the same period last year, while flight movements dipped 2.6% to 28,200. During the month, cargo tonnage at Changi registered 155,000 tonnes, representing a decline of 2.4% from a year ago. Passenger traffic during the month was supported by an increase in air travel between Singapore and Northeast Asia and South Asia, offset by weaker performance on some Southeast Asian routes. Among Changi Airport’s top 10 country markets, Hong Kong, India and Vietnam registered double-digit increases. Travel to and from China registered a year-on-year growth for the first time since January 2014, fuelled by strong growth in traffic to and from Shanghai, as well as secondary cities such as Nanjing, Haikou, Hangzhou and Qingdao. Traffic between Singapore and Thailand continued to be impacted by the political situation, registering a year-on-year drop of 12%, the ninth consecutive month of decline. Bangkok traffic was down 16% for the month. For the period of January to July 2014, 31.8 million passenger movements were recorded at Changi, 1.3% more than the corresponding period in 2013. Aircraft landings and take-offs grew by 2.1% to 199,900. Cargo shipments were stable at 1,065,000 tonnes for the same period. As at 31 July 2014, more than 100 airlines operate at Changi Airport, connecting Singapore to some 300 cities in over 70 countries and territories worldwide. 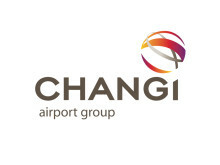 Changi Airport’s traffic statistics are available at http://www.changiairportgroup.com/cag/html/the-group/air_traffic_statistics.html. New Services – AirAsia Indonesia began a third daily Singapore-Bandung service on 20 July while Emirates has launched a fifth daily service to Dubai, United Arab Emirates since the beginning of August. New Stores – Changi Airport saw an array of new stores opening in July across all three terminals. In the public areas, Japanese brand Muji TO GO opened its first airport outlet in Southeast Asia in Terminal 2, offering travellers a range of its famed travel specialty goods. Premium chocolate brand GODIVA also opened its doors in Terminal 2, offering its decadent sweet treats to all, even those not travelling. Over at Terminal 3, ladies have a new fashion boutique, Couture by SZAN, to shop at, while popular candy store Candy Empire Gourmet has a new outlet in the Departure Hall, offering options for last-minute gift buying. Within Terminal 1’s transit area, Airport Wellness Oasis began welcoming passengers this month, with a selection of spa treatments to rejuvenate tired passengers. Singapore’s latest attraction, Gardens by the Bay, has also opened its first airport store offering a variety of souvenir items. 'Be A Changi Millionaire’ Monthly Winner – Mr Chen Bao, a musician from China, was picked as the second of six monthly finalists for the ‘Be a Changi Millionaire’ 2014 Grand Draw. The 62 year-old, who had the chance to visit Singapore and shop at Changi when he performed at a Chinese orchestra concert earlier in June, earned his chance at a million dollars with his purchase of a few boxes of chocolates and sweets for his family, as well as cigarettes for his personal consumption. Changi Airport is the world's sixth busiest airport for international traffic. It served a record 53.7 million passengers from around the globe in 2013. More than 350 retail stores and 120 F&B outlets are situated across three terminals to cater to passengers and visitors. 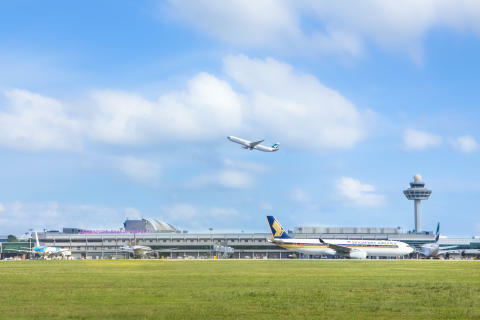 With over 100 airlines providing connectivity to 300 cities worldwide, Changi Airport handles about 6,500 flights every week, or about one every 90 seconds.